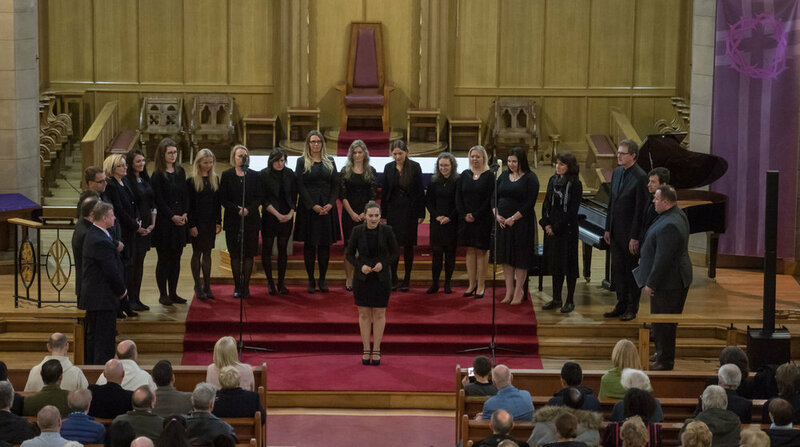 On Wednesday 12th of April a Fund-raising Concert was held in St. Mary's Catholic Cathedral Aberdeen. The Concert was in support of the Pluscarden Abbey 1230 Pilgrimage, which itself is in support of the new South Range Building Project. 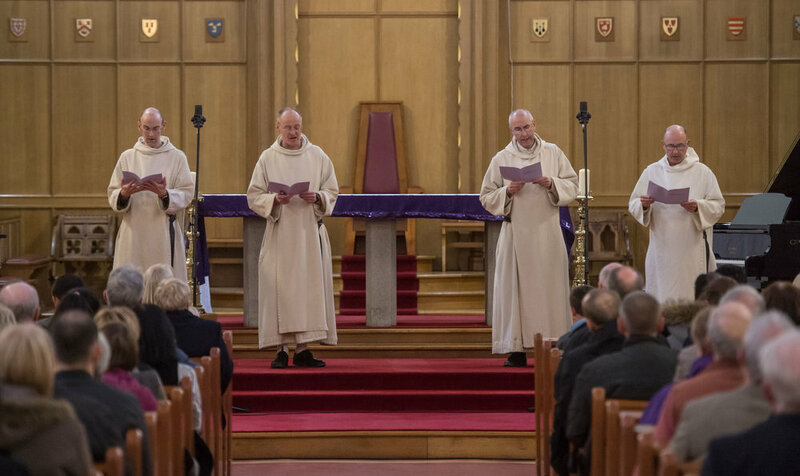 Four brethren from Pluscarden attended, and contributed to the programme some pieces of Gregorian Chant, on the themes of Lent and Passiontide. Only those present in the audience would be qualified to comment on the quality of this performance. Surely everyone present would agree, though, that all the other performers in the course of the evening were truly splendid, in their very different ways. The local Polish Choir "Musica Caeli" sang several pieces of sacred music, all entirely from memory, in both Polish and Latin. The young Romanian violinist Remus Stana used an electric violin, accompanied by recorded backing music, in a series of pieces, in all of which he manifested a virtuosic facility with his instrument. The solo pianist Blair Cargill played Grieg, Chopin and Debussy on the grand piano specially brought for the occasion. He also accompanied Soprano Moira Docherty in a series of Sacred songs. The Cathedral was gratifyingly well filled for this very fine concert, which was organised by Catherine Robertson Ross MBE on behalf of the Abbey, with assistance from David Broadfoot, principal Appeal Fund Manager. All photographs are by Michal Wachucik.